This month sees the 10th anniversary of Wittmann’s acquisition of Battenfeld. April 1st, 2008 saw the former BATTENFELD Kunststofftechnik GmbH in Kottingbrunn integrated into the WITTMANN Group. WITTMANN BATTENFELD will celebrate this anniversary on 13 and 14 June of this year at its facility in Kottingbrunn, Austria. Wittmann Battenfeld UK staff have just spent some days training in Industry 4.0 in Vienna, Austria and will be conversant with the techniques as applied to plastics processing technology. The Wellingborough sessions in April will offer visitors ample scope for hands-on work with a ‘live’ injection moulding production cell – complete with automation, materials handling, drying, temperature control and process control. 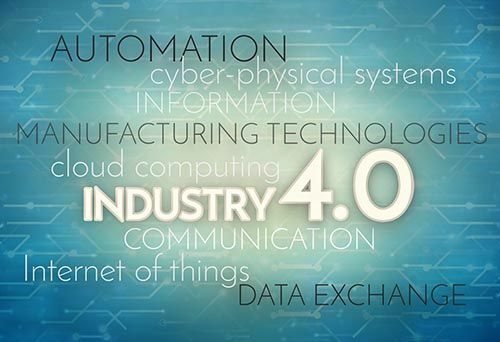 Industry 4.0 stands for the synthesis and networking of all relevant technologies in an Internet of objects, services and data – integrating, directing and improving manufacturing systems in order to be able to offer quick, flexible responses to customer demands. The April dates will see expert speakers from Austria, Italy and the UK explain how Industry 4.0 principles work in plastics processing and how they also related to Manufacturing Execution Systems (MES) as well as issues of data control and customer marketing and interface. Places are free of charge on a first come first served basis. For ease of booking and scheduling the daily sessions are identical – on Tuesday April 24 and Wednesday April 25. All further details directly from Barry Hill at Wittmann Battenfeld UK.